Hey everyone! Very short post from me today. 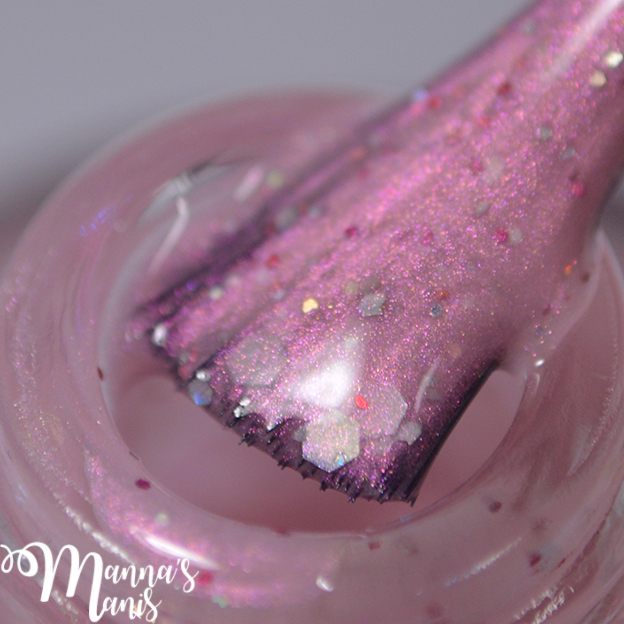 My Stunning Nails is a new brand from Lisa from My Stunning Nails Blog who makes polishes as well as bath and body products. 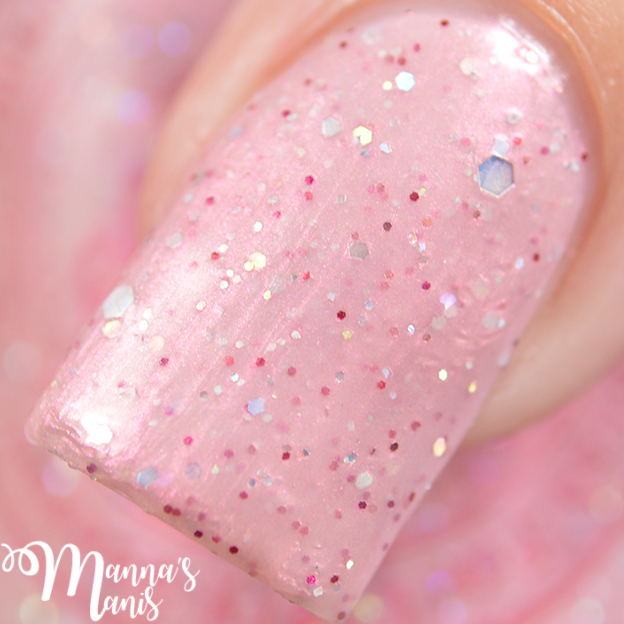 She had a collection slated for release but decided it needs more work, so instead of all of those swatches, I will just be sharing an exclusive of the same name from her brand today! My Stunning Nails is described as an apple blossom pink with small fuchsia glitter, holo and iridescent glitter in different sizes. It took 3 thickish coats to build to full opacity. You may also want to double up on the top coat. If you want this, you can grab it HERE for $8.95!